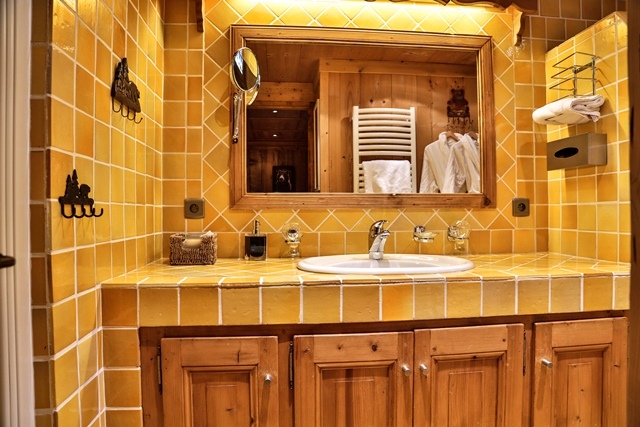 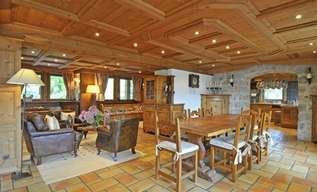 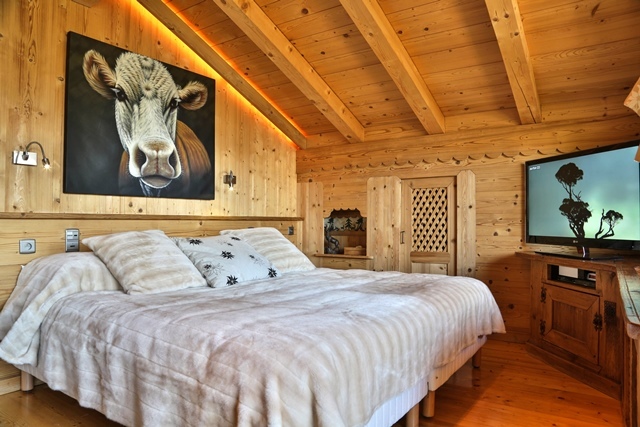 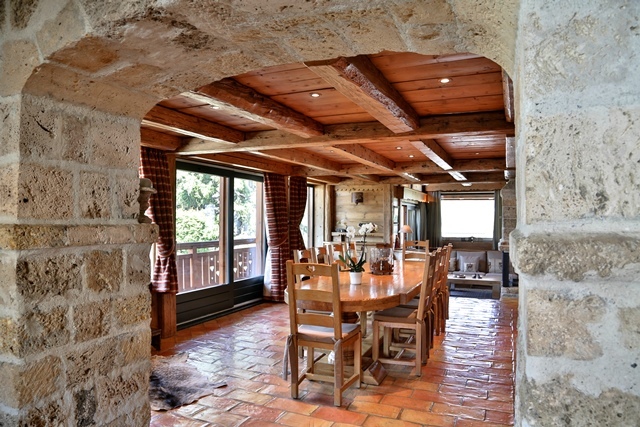 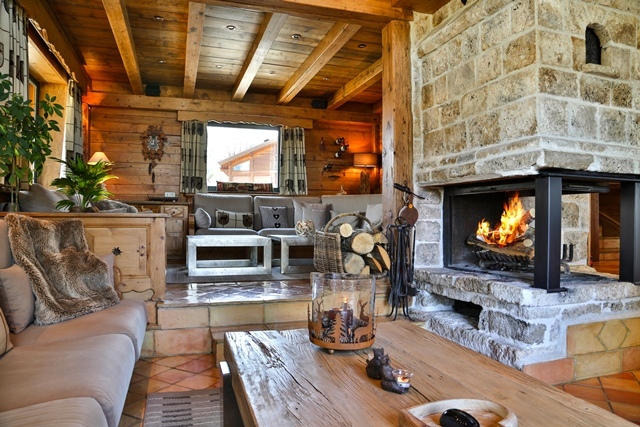 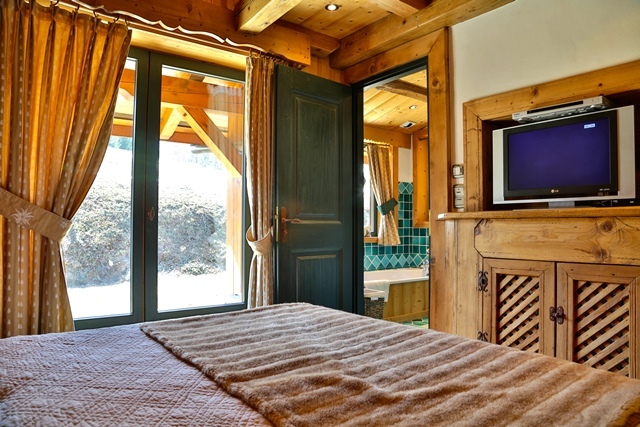 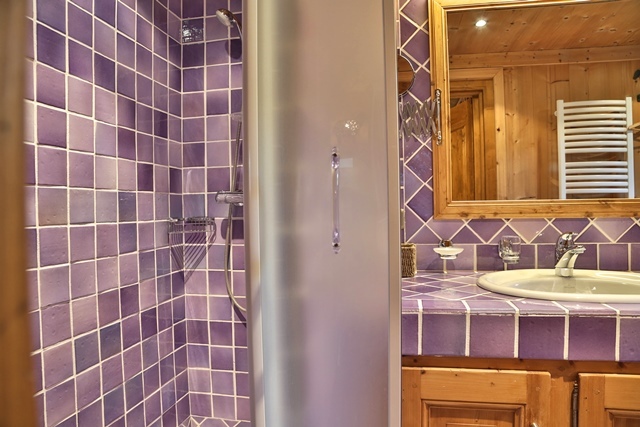 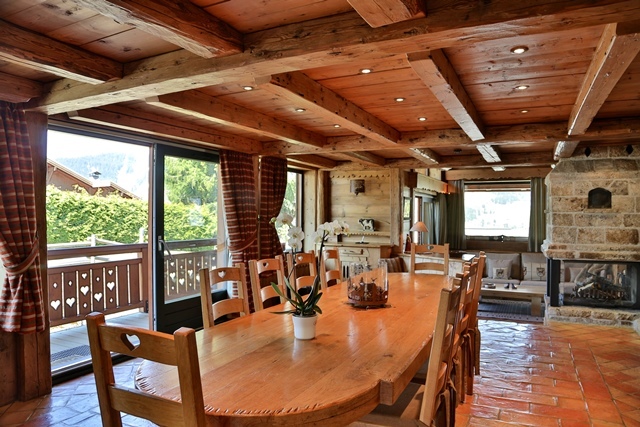 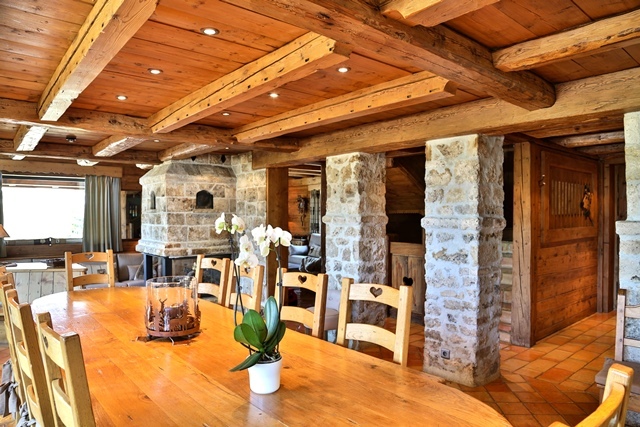 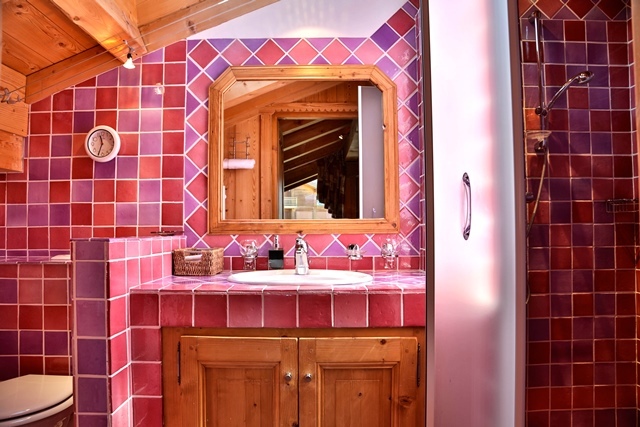 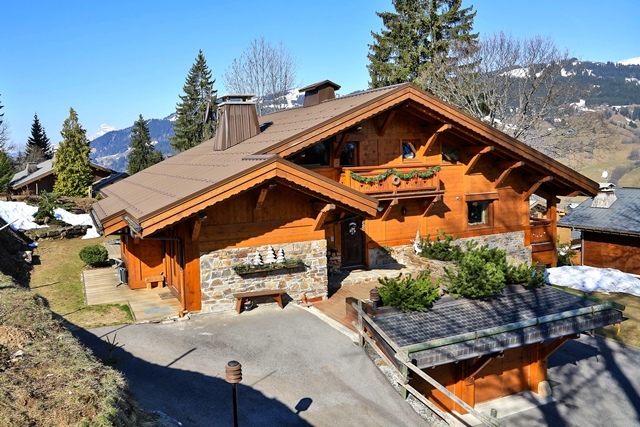 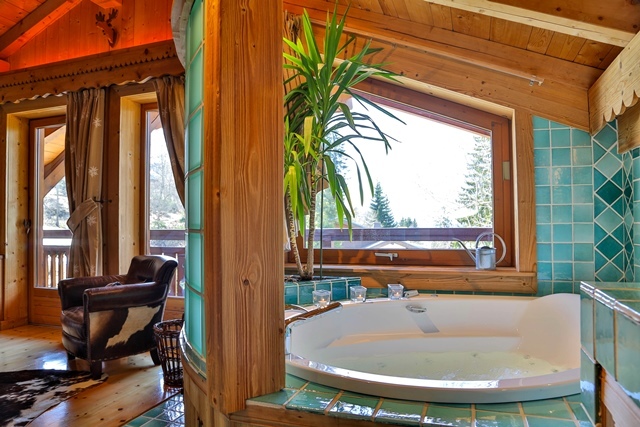 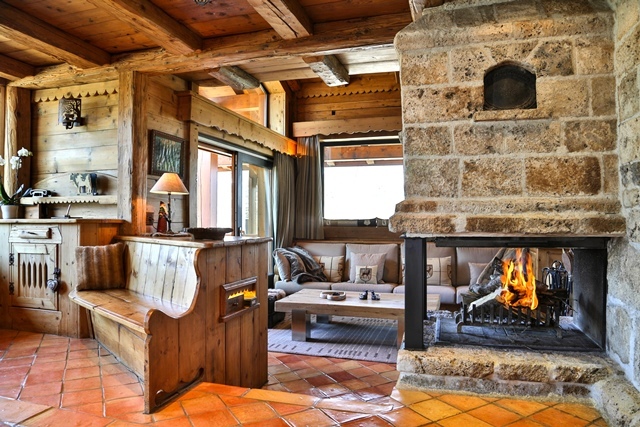 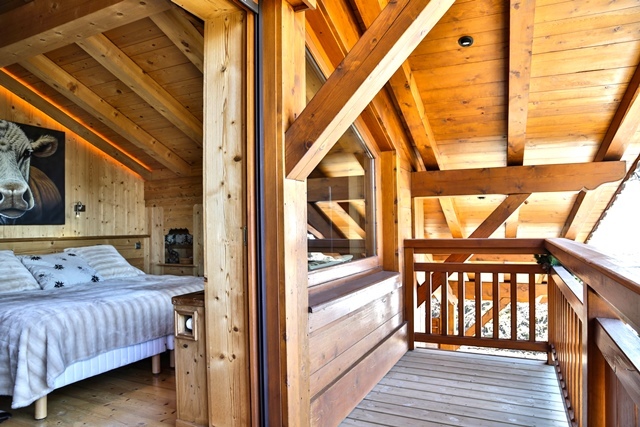 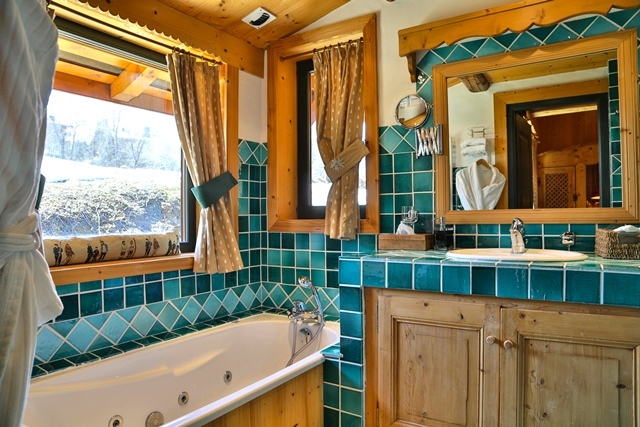 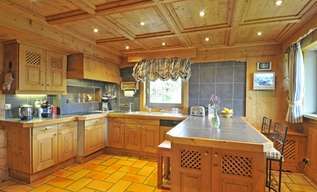 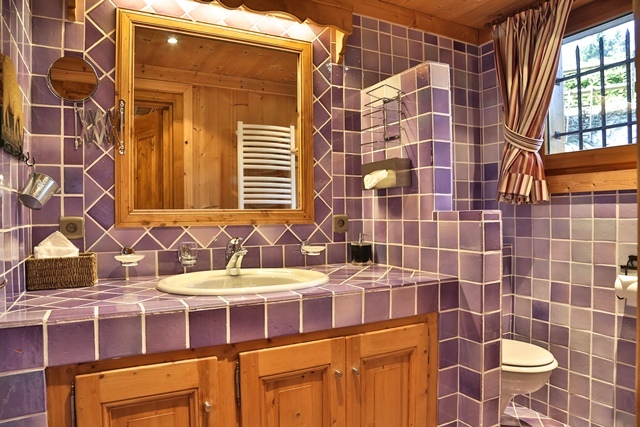 Luxury chalet rental Edelweiss is situated between Pettoraux and Echezaux, Megeve, in a private domain with 3 chalets. 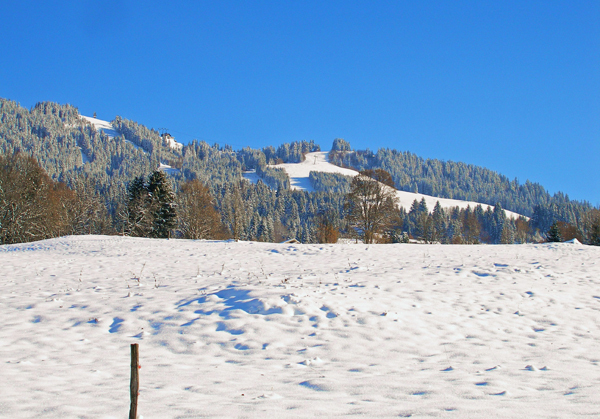 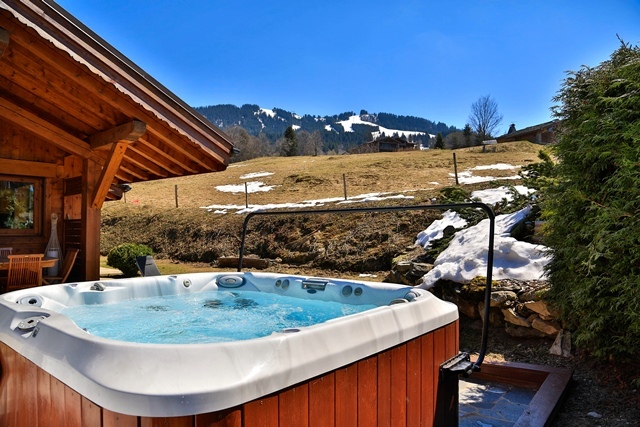 It has easy access to route du Mont D'Arbois, which takes you to the slopes and the centre of Megeve in little time. 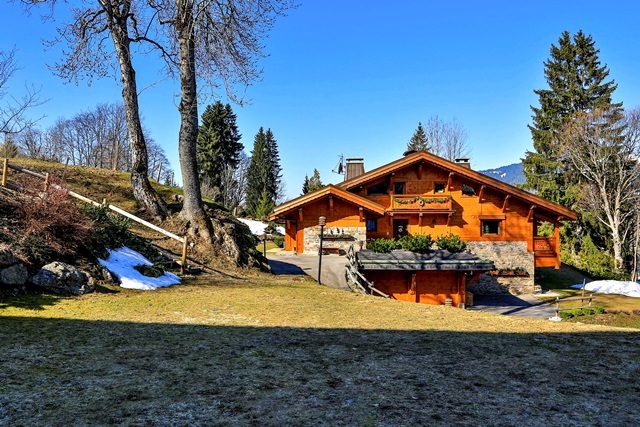 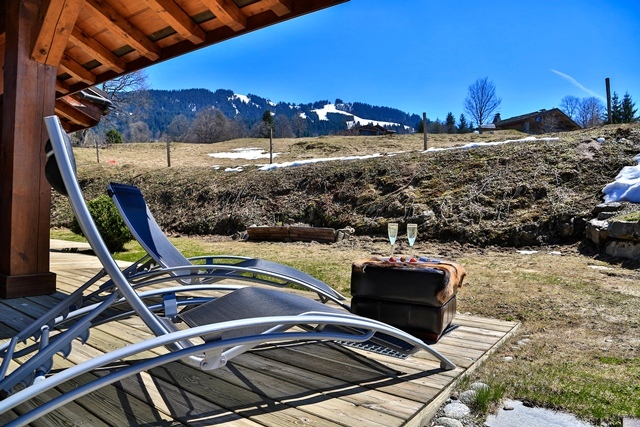 This luxury chalet is an ideal rental for those who are looking for peace and quiet, south facing exposure, and with no close neighbours. 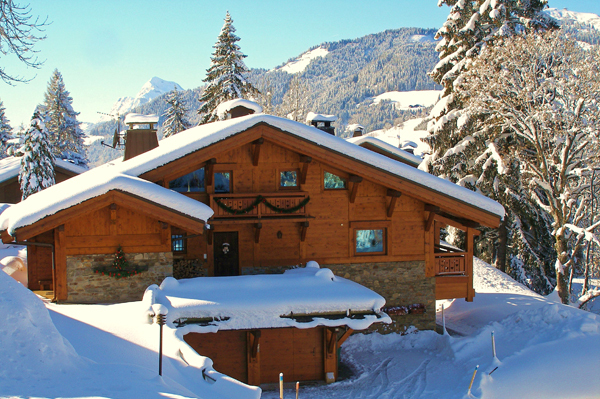 Good skiers can even ski off piste to the chalet. 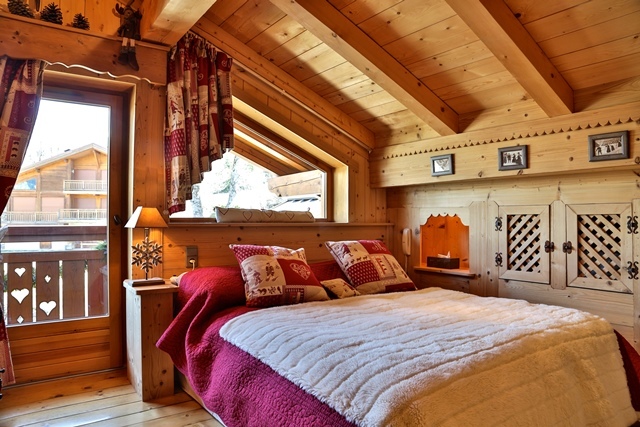 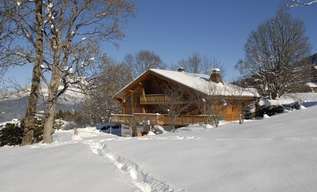 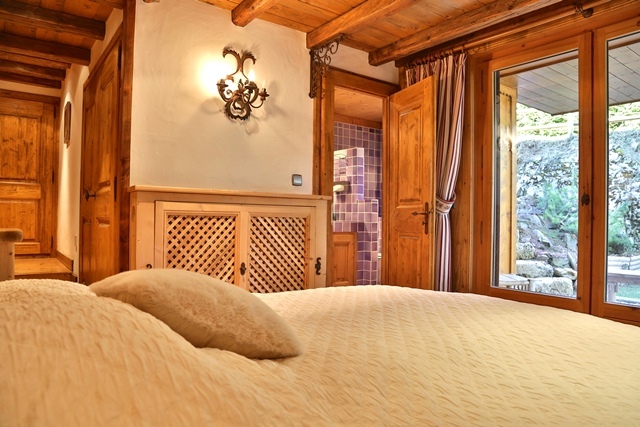 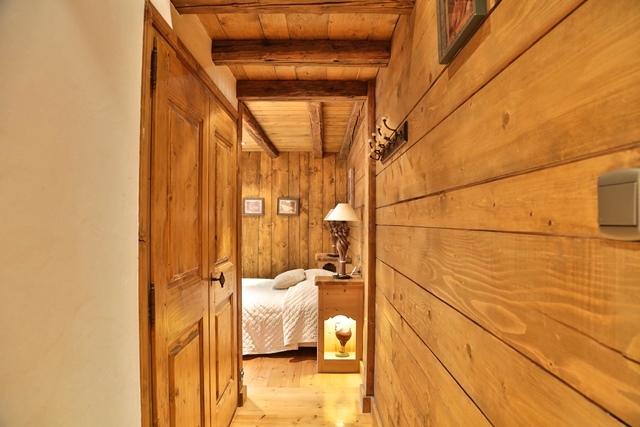 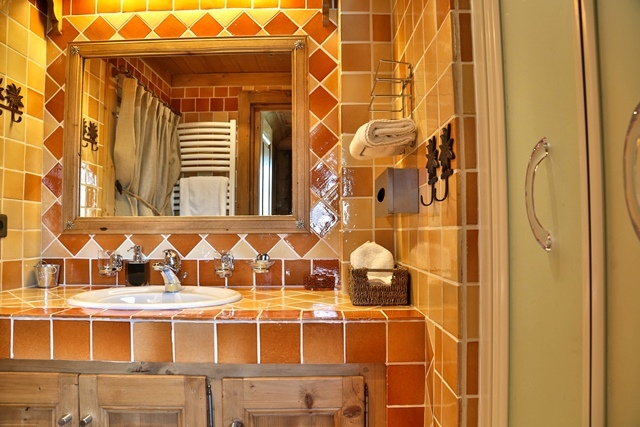 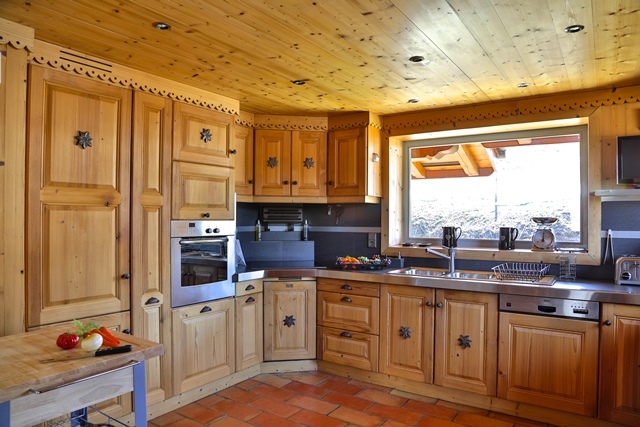 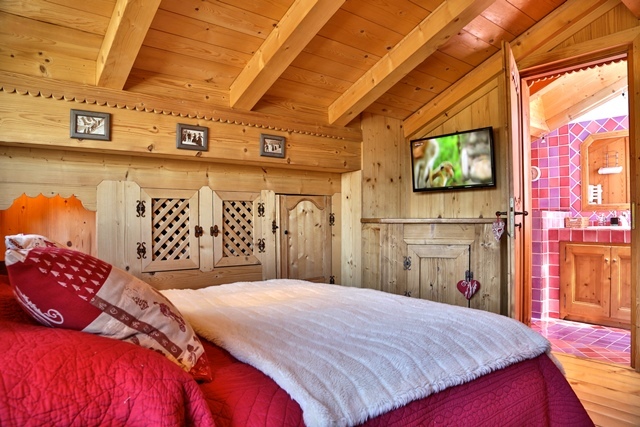 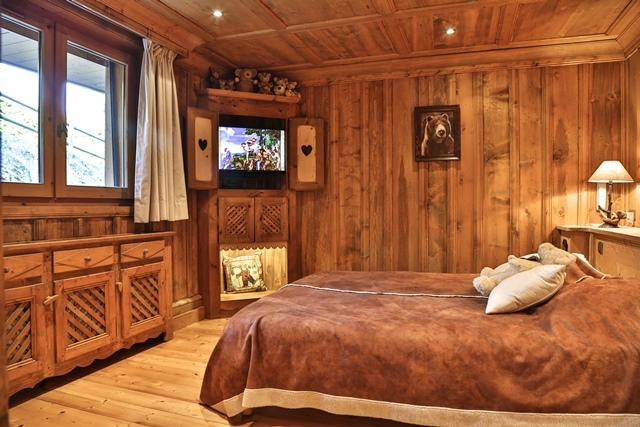 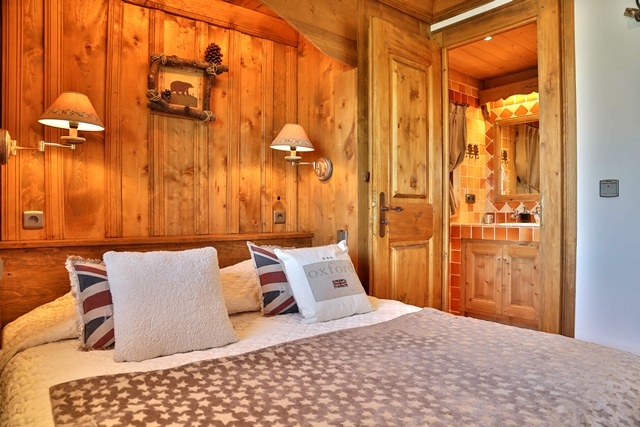 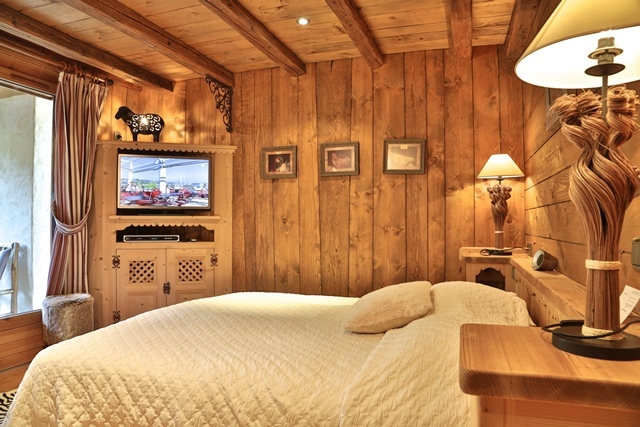 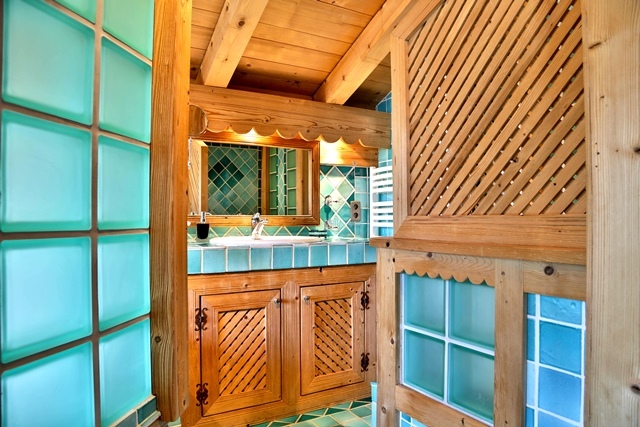 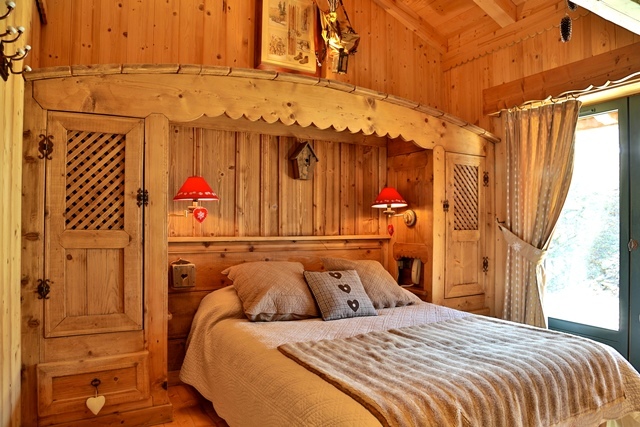 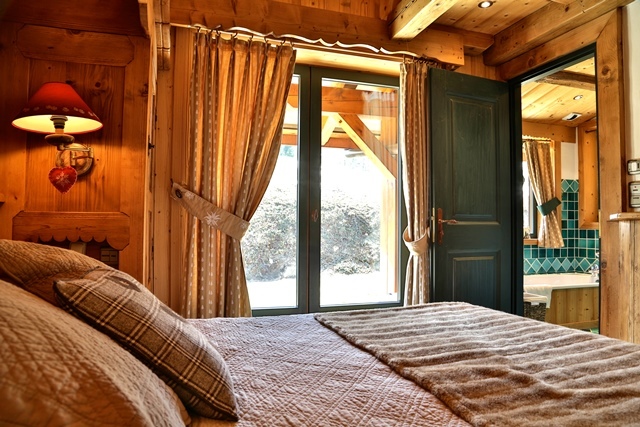 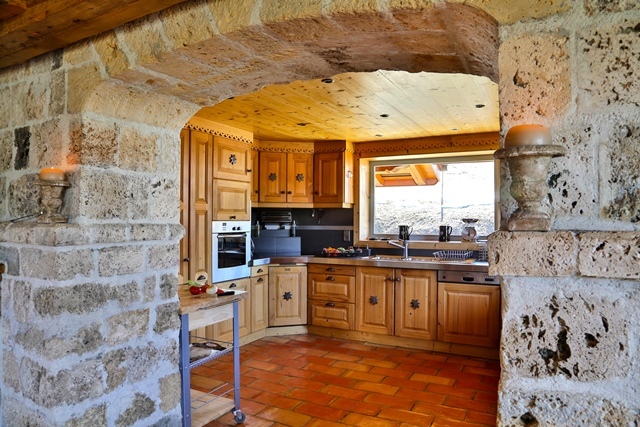 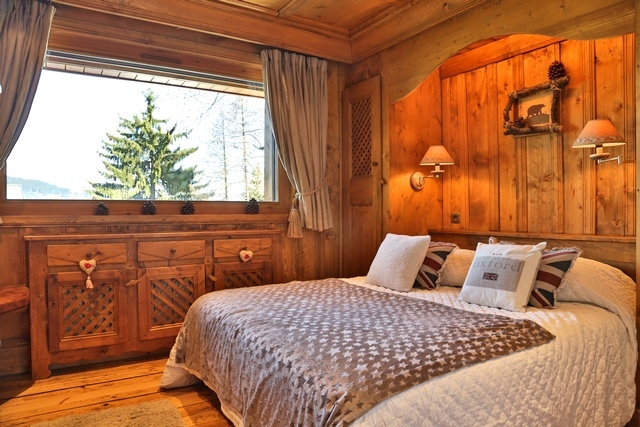 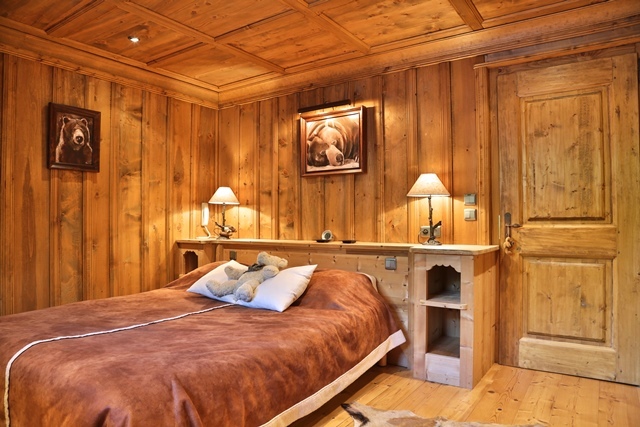 The luxury chalet has traditional architecture, with a mix of light and old wood. 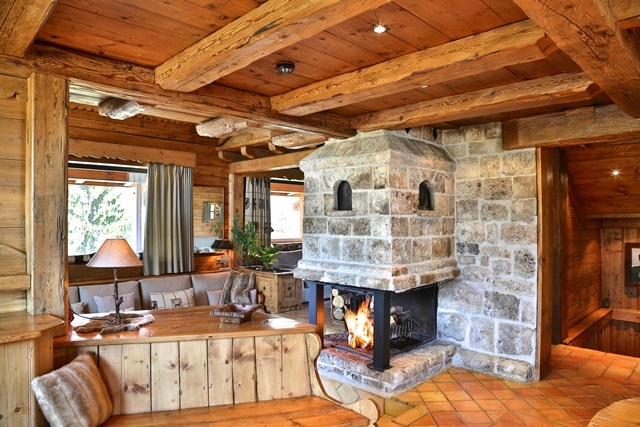 The interiors give you a sense of well being thanks to the mix of materials and decoration.You can curl up by the superb fireplace after a day spent doing your favourite outdoor activities. 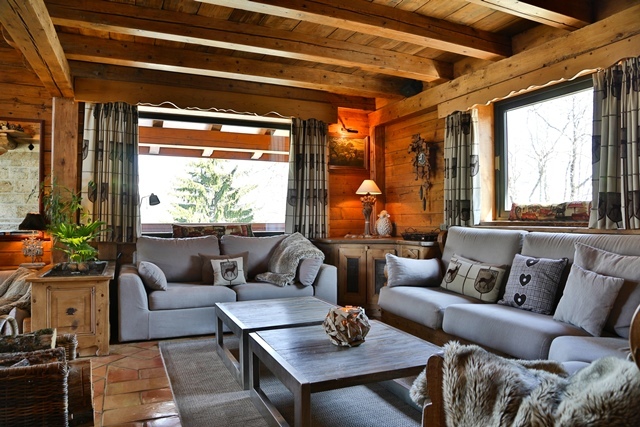 This chalet's inviting, well-appointed living room features wood paneling and high quality ceramic flooring. 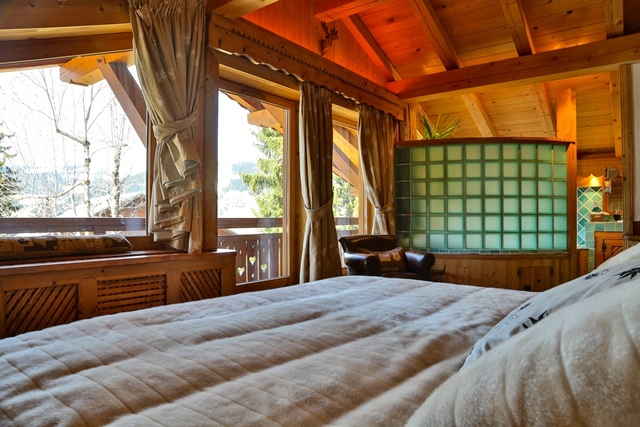 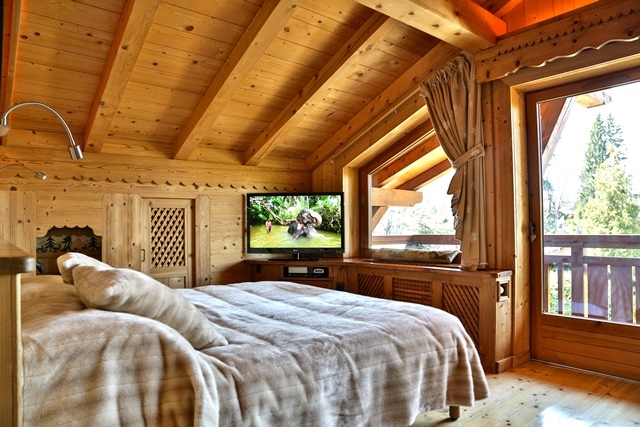 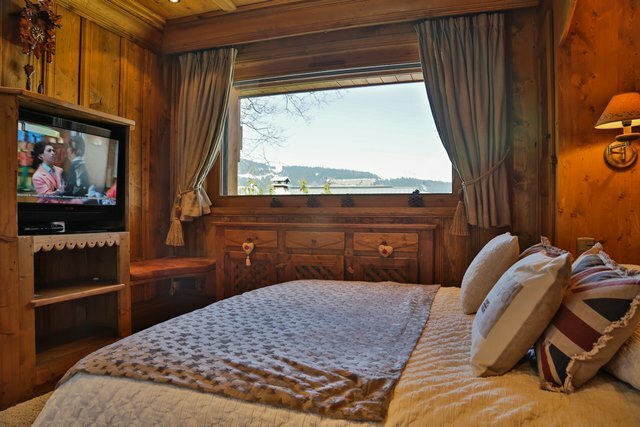 The room's many windows let you admire nature in all its splendor from the comfort of the luxury chalet. 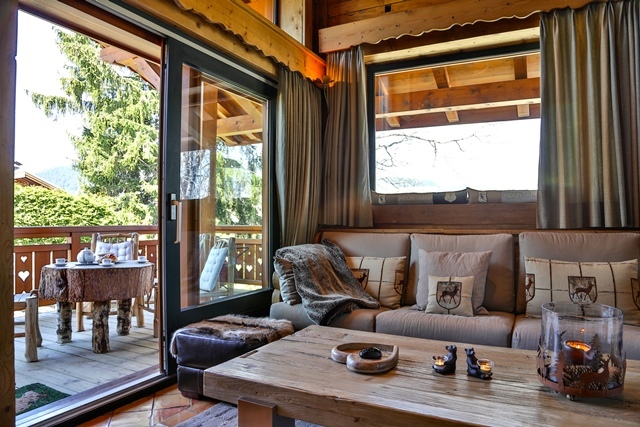 - a terrace with dining area and outdoor heated Jacuzzi. 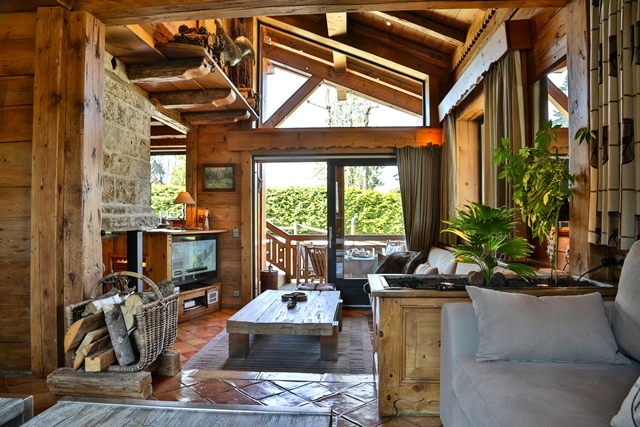 - a garage for two cars.